James D. Nutter | Parkowski, Guerke & Swayze, P.A. James D. Nutter joined Parkowski, Guerke and Swayze as a Director in December, 2012, and is resident partner in the firm’s Georgetown, Delaware, office. 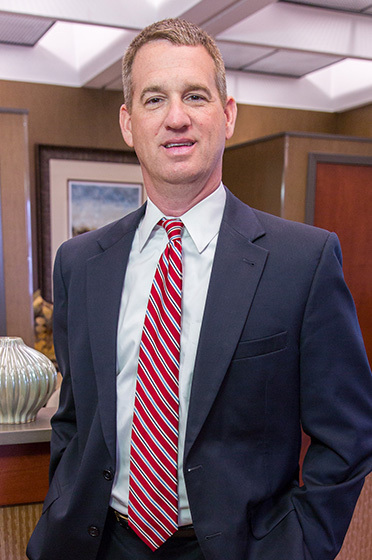 An experienced trial advocate, and former legislative attorney for the Delaware House of Representatives, Mr. Nutter’s practice focuses on State and local government relations, administrative and regulatory compliance, personal injury litigation and criminal defense. Mr. Nutter has successfully represented businesses, non-profit organizations and individuals before Delaware’s General Assembly and administrative agencies, and in every court in the State. A lifelong resident of Delaware, Mr. Nutter earned an undergraduate degree from University of Delaware in 1993 and a Juris Doctorate from Widener University School of Law in 1997. After admission to the Delaware Bar in 1997, Mr. Nutter began his legal career in the Office of the Public Defender, where he served as lead counsel in capital murder and other serious felony prosecutions. In 2005, Mr. Nutter entered private practice with the law firm of Mooney & Nutter, P.A., in Georgetown, Delaware, where his practice expanded to government relations and legislative law. From 2007 to 2010, Mr. Nutter served as attorney to the Democratic Caucus of the Delaware House of Representatives, drafting legislation and counseling Representatives on proposed laws affecting virtually all areas of the Delaware Code. Mr. Nutter began lobbying in 2010 and now represents more than 20 local businesses, non-profit agencies and multinational corporations before the Delaware General Assembly. Mr. Nutter serves as the appointed Chairman of the Delaware Commission on Adult Entertainment Establishments, is a member of the Nominating Committee of the Delaware State Bar Association, and is a past Associate Member of the Delaware Board of Bar Examiners. He resides in Lewes with his wife and their 3 daughters.